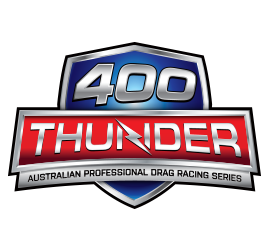 Australia’s professional drag racing series, 400 Thunder today confirmed that an agreement has been finalised with Channel 7 to air 400 Thunder Drag Racing on 7mate moving forward. Production of Thunder 400 television shows on 7mate and the OVO Live streaming from events will be undertaken by Oxygen 360. Australian Professional Drag Racing (APDR) Chairman Tony Wedlock said the agreements were exciting move for the sport. The production of 400 Thunder drag racing for the next three years has been secured by Oxygen 360 after a competitive tender process was undertaken by the APDR Board. The first of the 400 Thunder shows will go to air on 7Mate in late November with the full schedule to be released as soon as it is finalised. The next round of the 400 Thunder Professional Drag Racing Series is the AC Delco East Coast Thunder to be held at Sydney Dragway on Friday 3rd and Saturday 4th November 2017. The event will feature all six professional classes – Top Fuel, Pro Alcohol, Pro Slammer, Pro Stock, Top Bike, and Pro Stock Bike plus 400 Thunder Sportsman categories.